Tissa Nanayakkara has been appointed as Chairman Lanka Electricity Company (LECO) by Minister Ravi Karunanayake. 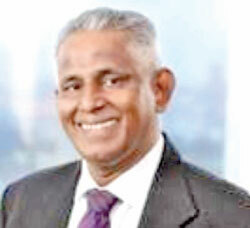 Nanayakkara retired as a Senior Deputy General Manager – Retail Banking of Seylan Bank PLC and Deputy Chairman of Lanka Hospitals. Currently working as Chief Executive officer of UPGI Ltd, fully owned subsidiary of Interblocks Ltd., also working as a Director of Welfare benefit board of Ministry of Finance and Mass Media.